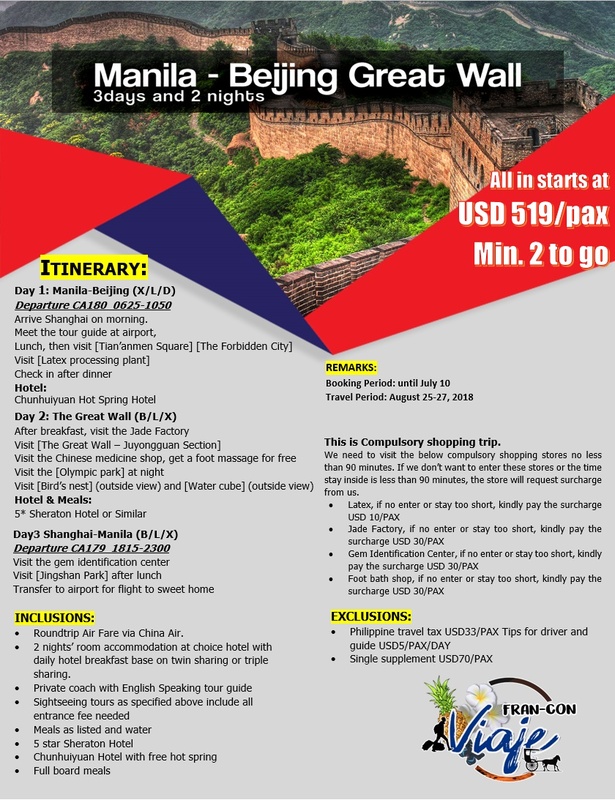 FRAN-CON VIAJE INTERNATIONAL: EXPLORE BEIJING AND ITS HISTORICAL WONDERS WITH US! 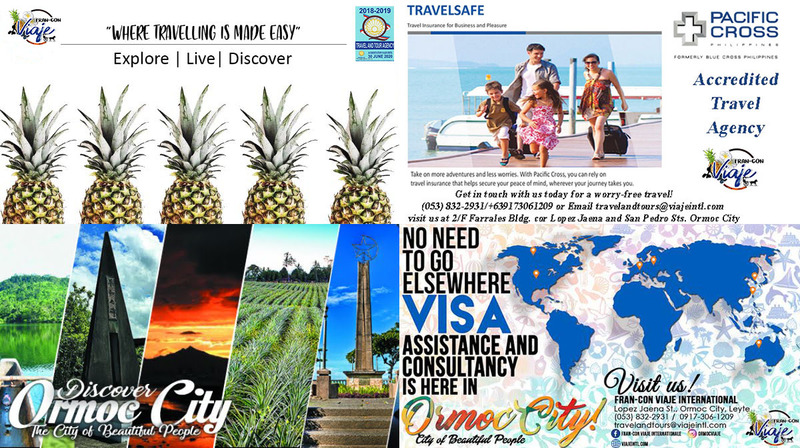 A travel agency based in Ormoc, dubbed as the "City of Beautiful People." To introduce you to our rich cultural and historical heritage. As we take you to all our breath-taking natural tourist spots here in Ormoc, and of all Leyte provinces. Check out our services offers down below, for all types of your VIAJE needs. Helping people travel easily since 2010. 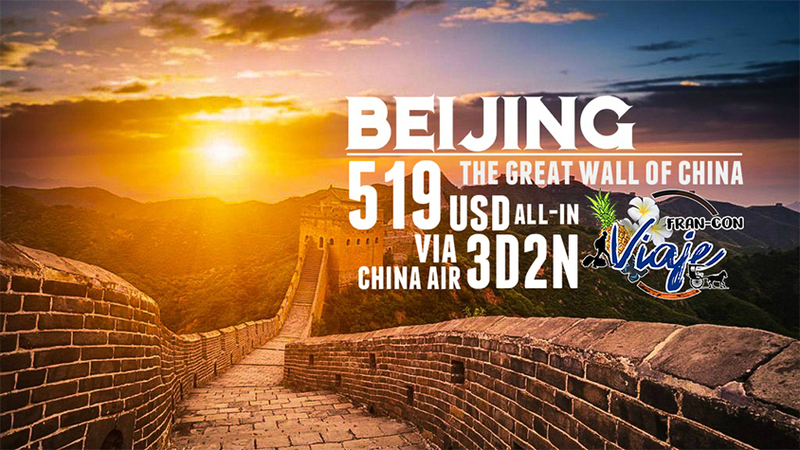 EXPLORE BEIJING AND ITS HISTORICAL WONDERS WITH US! BEIJING – is the capital of the People’s Republic of China and one of its ancient cities. Rich in history and cultural heritage, Beijing continues to intrigue travelers to explore and discover its ancient wonders. 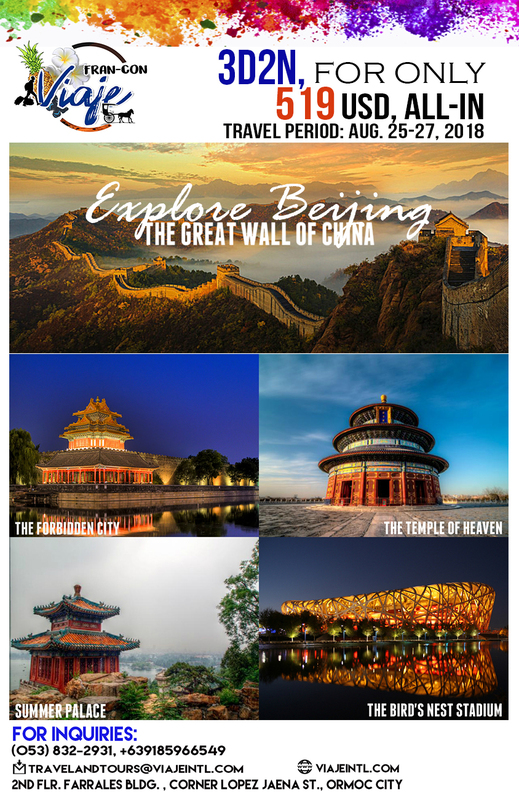 Embark on a journey to the Great Wall of China, a wall of fortification proudly 13, 000 miles in length, conceived by Emperor Qin Shi Huang in the third century B.C. as a means of preventing incursions from barbarian nomads. The best-known and best-preserved section of the Great Wall was built in the 14th through 17th centuries A.D., during the Ming dynasty. Though the Great Wall never effectively prevented invaders from entering China, it came to function as a powerful symbol of Chinese civilization’s enduring strength. Book with us for a hassle-free and convenient travel experience. All of the content shown on this site, including, but not limited to photographs, images, text are the exclusive intellectual property of Fran-Con Viaje International and/or its content providers, unless otherwise stated. All content is protected by international copyright law and may not be downloaded, copied, reproduced, republished, manipulated, altered, transmitted, or distributed in any way, without written permission and/or a payment of a fee or other arrangement. You may only view the content for your personal and non-commercial use. This site does contain links to other related Internet web sites. Please note that Fran-Con Viaje International is not responsible for the availability of these external resources, or their contents and that you should direct any concerns regarding any external links to the site administrator or webmaster of such site. Our office is conveniently located at: 2nd Floor Farrales Bldg., Lopez Jaena St. Cor. San Pedro St., Ormoc City, Leyte. #AltheaTurns1: Happy Birthday Althea Korea!